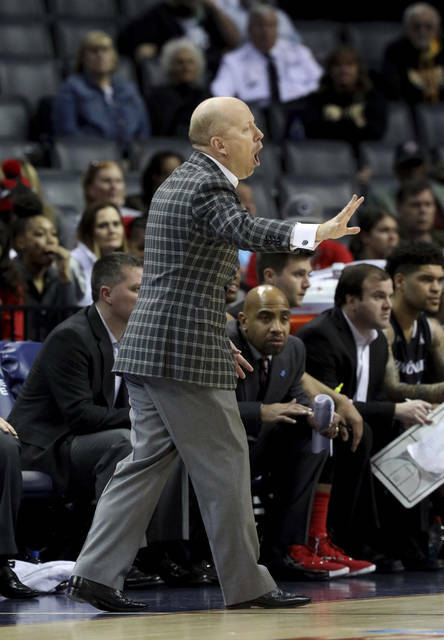 MEMPHIS, Tenn. (AP) — Jarron Cumberland had 33 points and eight rebounds to lead No. 24 Cincinnati past No. 11 Houston 69-57 for the championship of the American Athletic Conference on Sunday. The Bearcats learned soon after that they would be a 7th seed and travel up I-71 to open NCAA Tournament play Friday vs. 10th-seeded Iowa. Cane Broome finished with 15 points and Tre Scott added 12. It was the second straight conference tournament title for the Bearcats (28-6), who defeated Houston in last year’s final. The victory puts Cincinnati into the NCAA Tournament for the ninth straight year. Armoni Brooks led Houston (31-3) with 17 points and Corey Davis added 12 for the Cougars, who were the tournament’s top seed. 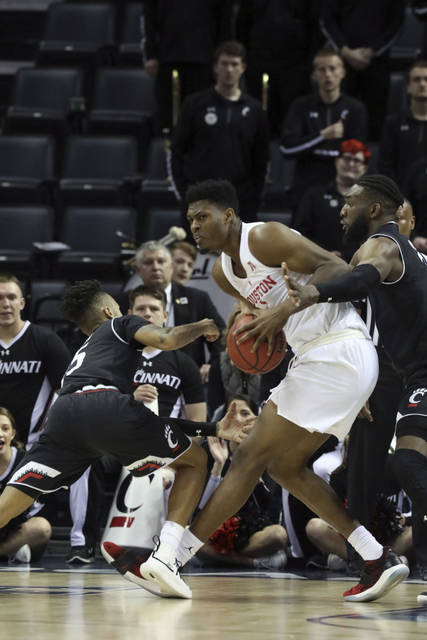 In the second half, Cincinnati put the ball in the hands of Cumberland, voted the tournament’s most valuable player, and he responded with 20 second-half points. 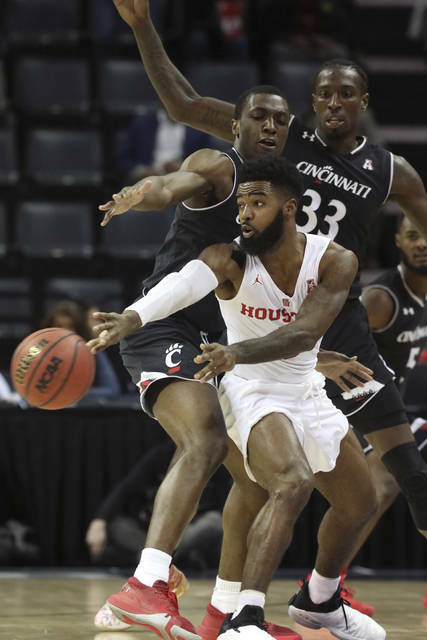 That was coupled with a Cincinnati defense that held the Cougars to 27.8 percent shooting after halftime, including Houston converting only 3 of 18 shots from outside the arc. Houston got in trouble early in the second half when two quick fouls sent forward Breaon Brady to the bench with four fouls. About the same time, Fabian White went to the bench holding his right wrist. At that point, the Bearcats were taking the lead to 15 points and really weren’t threatened the rest of the way. Cincinnati: Cumberland, who was limited to only 11 points in a semifinal win over Wichita State, had surpassed that at halftime with 13 but was still struggling from the field. After halftime, the conference player of the year took over the game as the Bearcats extended the lead. Houston: The Cougars suffered through 35 percent shooting in the first half. Brooks made five of the nine Houston field goals in the half. But things got worse after halftime as Houston had trouble converting shots and could never really cut into the Cincinnati lead.